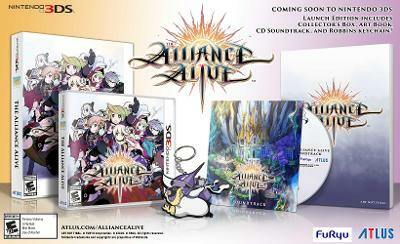 Alliance Alive Launch Edition (Nintendo 3DS) CIB FAST FREE SHIPPING!!! Alliance Alive Launch Edition (Nintendo 3DS, 2018) Complete Unused! ALLIANCE ALIVE: Launch Edition 3DS/2DS (Nintendo 3DS, 2018) Complete. AWESOME! !